A top McCain adviser has stepped up to defend Governor Palin on the heels of the ridiculous Game Change movie. He also calls out Steve Schmidt and Nicolle Wallace, the sources of the soon-to-hit-HBO hit piece. 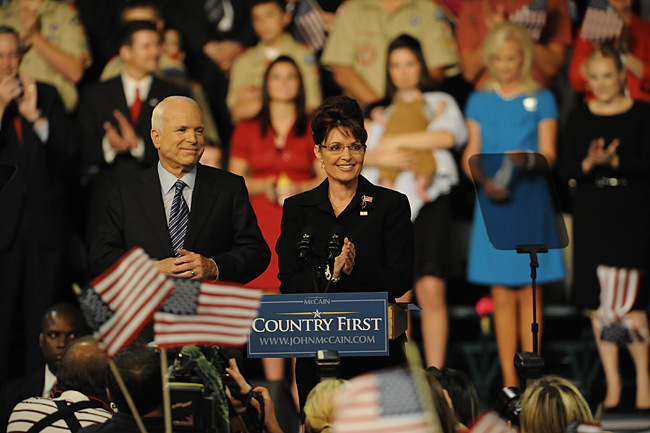 The premise of the “Game Change” film is that Sarah Palin cost the Republicans the election in 2008. Do you agree? I disagree with the premise that Palin lost the election in 2008. The fact of the matter they say that money doesn’t win elections, I say bull. Obama had more money than he knew what to do with. He was very fortunate to ride on a wave of Bush fatigue, a rejuvenated electorate with this hope and change message and more importantly, he had money, which allowed him to tap into deep resources. What do you think of the McCain aides who helped with making this movie? What’s their motive? The trouble is this – you lost. It’s easy to blame people. My thought is that you lost as a team y’all have to own up. Like a football team. It can’t be one person’s fault you lost. It can’t be. In my opinion to say that it’s Sarah Palin’s fault for that loss – I disagree with that notion. I don’t know what their motive is in the movie by painting Gov. Palin as the target for the reason of the lost election other than trying to save face. What do you say to the people who criticize Sarah Palin for not being experienced or intelligent enough to have served as Vice-President of the United States? People who make those comments have never run for public office. People who sit back and criticize others on intellectual ability have never been in a position to lead. The bottom line is this, the person that the media thinks oughta be the president have no clue. That person does not exist on this planet and the person who thinks they are the smartest person in the world, should never hold a job with a title. I firmly believed the media felt Barack Obama was this person. Three and a half years later, I think even the media believes you need more of a person who can read off a teleprompter to lead a country. To insinuate that Sarah Palin was aloof is ridiculous. To achieve what she has done as a local city councilwoman to Mayor to Governor in Alaska … they somehow misjudged her ability, and especially her intellectual ability. But here’s the truth about the McCain-Palin campaign, which HBO’s upcoming “Game Change” film attempts to shroud in fanciful anti-Palin fiction: Palin carried the campaign. She would have led the Republicans to victory had it not been for the September financial collapse and McCain’s disastrous decision to suspend his campaign so that he could vote for the TARP bailout in Washington. The Democrats knew it, too. That fall, I was back in the classroom at Harvard Law School, surrounded by students and faculty who not only supported Sen. Barack Obama but were, in some cases, involved in his campaign at senior levels. They feared Palin and, after her arrival, could barely talk about the election without a sense of dread. They had no answer for her optimism, her authenticity, her femininity and her courage. On the ground in New Hampshire, where I volunteered after classes and on weekends, Palin’s nomination had led to a sudden groundswell of support. Where McCain had struggled to fill an arena, lines outside events featuring Palin seemed miles long. She had awakened and rallied the conservative base. After the election, when the Republican establishment began to self-destruct, Palin rallied the conservative base yet again. She became an important voice in the burgeoning Tea Party movement. She helped lead Republicans to the greatest congressional victory in several generations. Her success stopped the Obama agenda dead in its tracks. That’s a real “game change” worthy of a film – and the story’s still being written. I have great respect for Senator John McCain. That respect is two-fold. First and foremost, I respect his service to our nation. He is a true American hero, the proverbial “profile in courage.” His strength and heroism in war are undeniable. Second, he was the vehicle through which the nation came to know Governor Palin. Though she had already been making history in Alaska, many had never heard her record, or even her name, until the Senator introduced her on August 29, 2008, in Dayton Ohio. For that, we are most grateful. My issue with Senator McCain is that he remains silent while those he trusted continue to blame Governor Palin for the horrible campaign they ran. They need a scapegoat, so they’ve chosen her, and they’re willing to sell their souls to the devil in the effort. The movie is based on a poorly researched book by John Heilemann and Mark Halperin, and it was criticized at the time of its publication by Howard Kurtz, then a media reporter for the Washington Post, and the New York Times for its overreliance on unsourced “deep background” interviews that were difficult to verify. Two of those sources have been revealed, according to the Los Angeles Times, as Steve Schmidt and Nichole [sic] Wallace, John McCain campaign operatives widely regarded as being responsible for McCain’s defeat in 2008. The suspicion is Schmidt and Wallace are attempting to shift the blame for the debacle on Palin. Schmidt and Wallace will obviously do what they do. Their despicable behavior is nothing new, but McCain could certainly stop it in its tracks with just one word–or at least slow it down. Instead, he is saying nothing. Therefore, these two little rascals are making him look even worse than they are attempting to make the Governor look. If she was really as bad as they say she was, what does that say about Senator McCain, since he’s the one who picked her? These two miscreants are not only doing a disservice to Governor Palin’s name, but they’re calling into question Senator McCain’s leadership capabilities. It’ll be a cold day in Gila Bend, Arizona, when I watch that movie. Well, that’s fine, but surely he has seen the trailer by now, or read about it, or heard about the decent members of his 2008 election staff who have spoken out against the lies in this movie in which Governor Palin is depicted as mentally unstable, unprepared, and unintelligent. I think that, again, that’s what campaigns are all about. I’ve never seen anyone as mercilessly and relentlessly attacked as I have seen Sarah Palin in the last couple of years, but she also inspires great passion particularly among the Republican faithful. 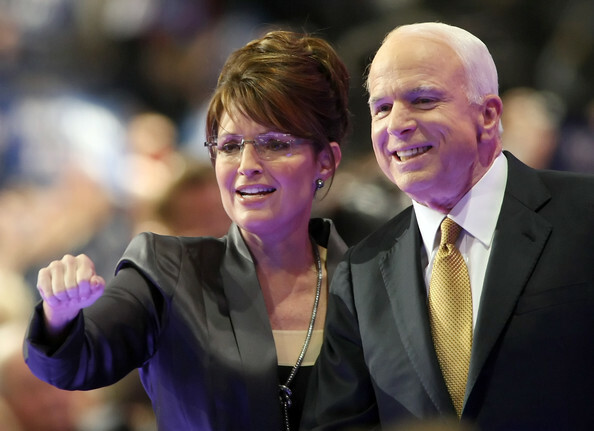 I agree with Senator McCain: no one has been treated as unfairly and vilely as Governor Palin. Since he knows this to be true, I would have even more respect for him if he’d do his part to put an end to it. I also agree that she inspires the Republican faithful. If Senator McCain considers himself among those faithful, he should be inspired enough to take a stand, shouldn’t he? Governor Palin energized his campaign for the presidency, she is the reason he didn’t lose by an even greater margin, and she helped secure his congressional reelection in 2010. At the very least, I would like the Senator to speak up on behalf of his former running mate–and himself–by calling out his staffers and their lies. It’s simply the right thing to do, and Senator McCain has shown us in the past that he knows how to do the right thing.